Here’s a collection of black and white periodic table of elements for you. These are ideal if you don’t have access to a color printer, find the colors distracting or hard to read, or just feel like coloring in element cells yourself. 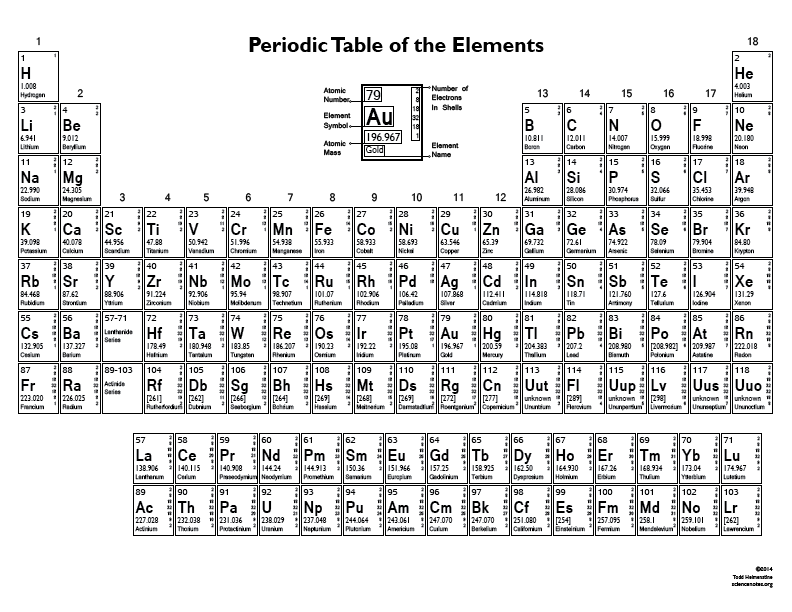 This handy table lists all the important periodic table data, such as element names, element symbols, atomic numbers, element groups, and the latest IUPAC atomic masses for the elements. Each atomic mass is cited with the highest number of significant figures. This table is also available as a PDF file for easy downloading and printing. 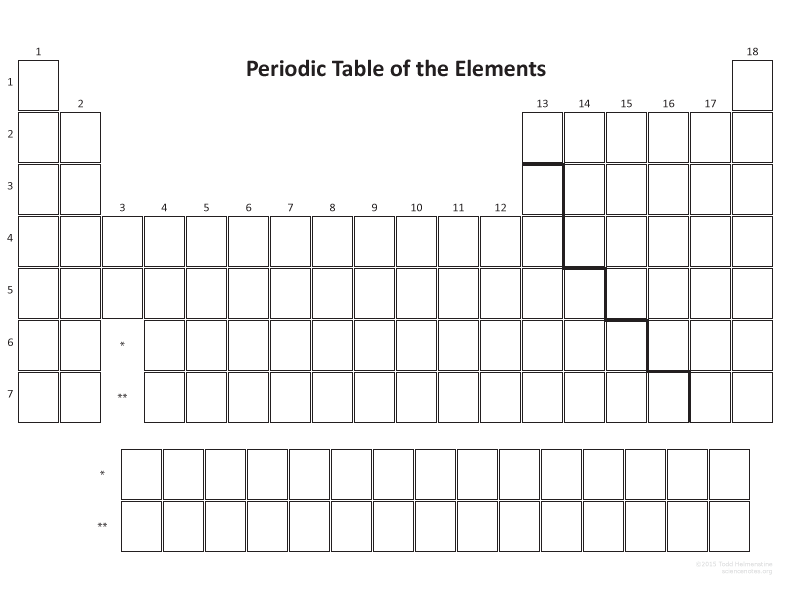 Fill in the blanks or color in your own periodic table with this periodic table. There is a zig-zag line separating the metals and nonmetals, but you’re on your own otherwise! You can download the PDF of this table, too. 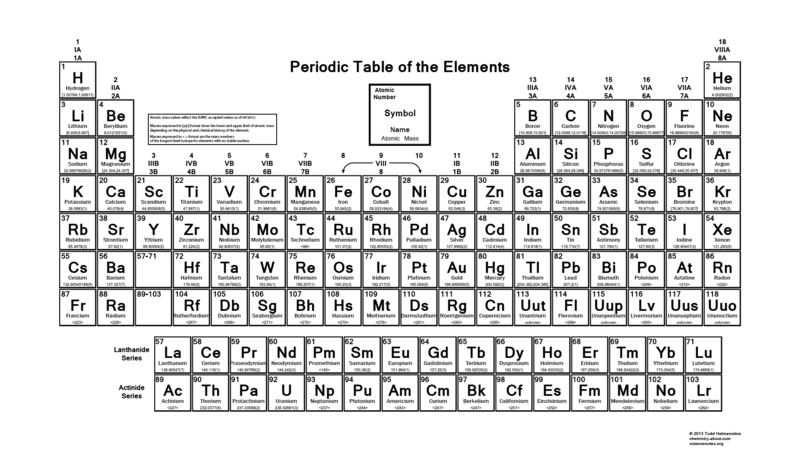 This printable periodic table lists the usual essential element information, plus the most common oxidation states of each element are also cited. Grab the image or get the PDF or color file. 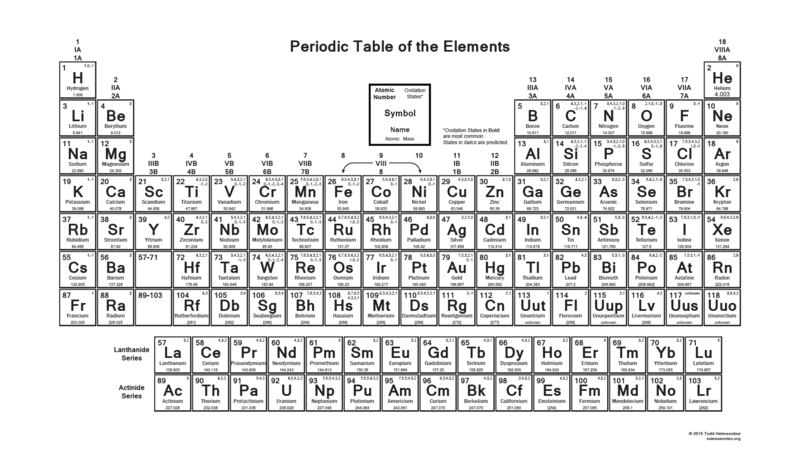 This printable table includes the electron shell configurations for each element, so you don’t need to figure it out (or to check your work). It’s also available in a color version or as a PDF file. If you need individual element tiles, these are also available as black and white images. 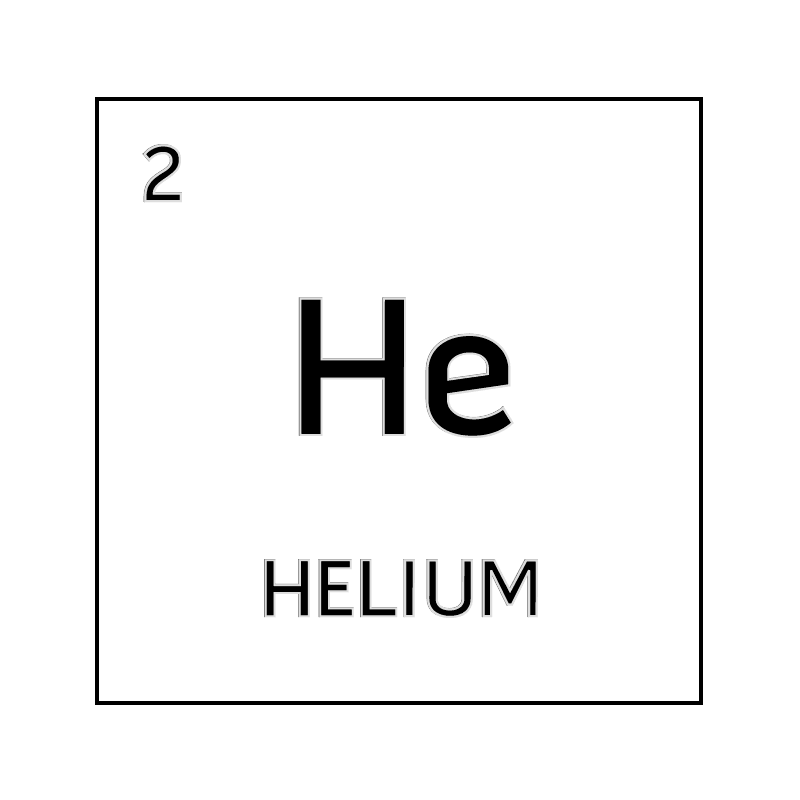 The sample cell for helium is shown, but all of the elements are available. 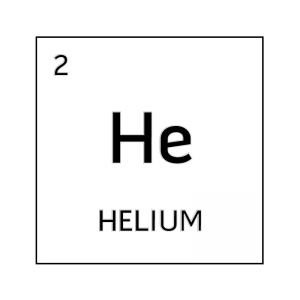 Black and white element cell for helium. If you need a different style of periodic table, check our printable periodic table collection or periodic table wallpaper collection for more selections. We also have other versions of these tables available at About.com Chemistry. If you still don’t see what you need, just ask us — we’ll make it for you!